Relieve constipation with herbal remedies and natural laxatives. You might be familiar with some of the laxatives that you buy from the pharmacy, but did you know that a laxative could be also some foods, herbs, beverages and natural oils, without the side effects in the long term. People suffering from chronic constipation must seek out what is causing their symptoms such as drugs, poor diet, stress, lack of water and menopause. 1. Eat more fiber, it’s the best natural laxative! Everyone is talking about dietary fiber to relieve constipation, because fibrous foods make the stools more bulky and help to retain more water, so that they remain soft. The fibers are present in all plants such as fruits, vegetables, grains, nuts, seeds and legumes. In fact, one type of dietary fiber called chitin is also found in the shells of seafood such as crab, lobster and shrimp. Avoid refined and artificial foods, as they can cause constipation. Here is a list of some of the foods with high fiber content. Eat them as natural laxatives. Bananas: Rich in fiber, potassium and aid in digestion. Bananas help restore electrolytes in your intestinal tract. They contain fructooligosaccharide, which promotes beneficial bacteria in the intestines. Apples: The pectin in apples stimulates the intestines and helps fight constipation. Melon and watermelon: Easy to digest, have a high water content which helps against constipation. Berries: Rich in antioxidants, useful for a colon cleansing when consumed on a daily basis, take blueberries, strawberries, bilberries, cranberries, blackberries and cherries. Prunes: A natural laxative, prunes are rich in antioxidants, vitamin A, potassium, iron and dietary fiber. Additionally, prunes provide beneficial bacteria to the intestines, which is actually a great addition to any cleansing diet of the colon. Among the other natural laxatives, citrus fruits have a some of the largest effect of detoxification. Tomatoes, carrots, onions, garlic, broccoli, cauliflower, cabbage and green leafy vegetables can all give you the needed nutrients that will help against constipation. These foods are rich in dietary fiber, calcium, folic acid, vitamins K and C, magnesium and all essential nutrients necessary for digestion and good overall health. In addition, it will help to increase the secretion of bile, the substance that removes waste from the organs and blood. Olive oil is one of the best laxatives natural. It stimulates the digestive system which allows a better functioning of the colon. If taken regularly, the olive oil not only relieves constipation, but even prevents it from happening. 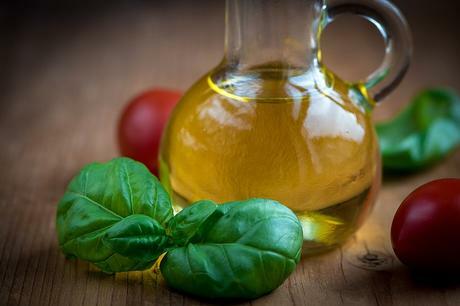 In the morning, on an empty stomach, drink a teaspoon of olive oil. If you can’t bear the taste, add a little lemon juice. You can do this until you get rid of constipation. One of the best natural laxatives, the apple cider vinegar can really help you to alleviate the irregularity of the intestinal tract, thus eliminating toxins from the body at a faster rate. Consuming and cooking with spices such as black pepper, ginger and turmeric improves digestion and acts as an effective way to not only avoid and relieve constipation, but also benefit from the healthy effects these natural spices have on your body. Foods such as hemp, flax seed, avocado and olive oil are excellent natural laxatives, as they help your body to eliminate toxins. These oils help “lubricate” the intestinal walls, allowing toxins from waste to be absorbed by the oily substanse, so that they are eliminated effectively by the body. For making a natural home made laxative, take a half teaspoon of flax oil each day. Take ground flax seeds and add them in your food when cooking or better yet in your natural juices or smoothies made with the fruits and vegetables mentioned above. Flax seeds are also good for the elimination of toxins, excess fat and cholesterol, while in the same time proactively regulating your bowel movements. Drinking hot water in the morning on an empty stomach is one of the best and common ways to stimulate the bowel functions. Drinking a glass or two of warm water will hydrate the stool and facilitate the passage of waste through the colon. In most cases, normal constipation can be treated with several glasses of hot water to prevent the dehydration of the stool and also to prevent the pain and discomfort associated with constipation. The castor oil helps to stimulate the colon walls and facilitates the movement of the intestine. Castor oil also contributes to the prevention of absorption of fluids from the intestine, which is the main cause for a constipation. The stool will be more hydrated, which helps to have a smooth stool movement without the pain and discomfort. The oil can be taken for about a week and its intake should not be continued in the long term, because it may cause a malfunction of the colon. It is important to speak to a herbalist for the right dosages. Dates are rich in iron and one might wonder if it is a good treatment for constipation, because the iron can actually cause constipation. However, dates are also rich in fiber and thus could certainly act as a natural laxative when taken in the right way. Soak two dates overnight in a glass of water. This mixture can then be crushed before drinking its juice. The dates juice is rich in fiber and acts as a great natural laxative. Psyllium is a plant that is very rich in fiber and has a natural laxative effect. Take psyllium with a glass of hot water at the night every day to prevent constipation and also to loosen your stool, because the psyllium helps the stools to retain more moisture from the liwuids you intake, thus making bowel movements a painless process. The licorice root can also act as a natural laxative if you are having problems with constipation. Take a licorice root and crush it. Add a cup of boiling water. Leave it to infuse for about 15 minutes to an hour. Strain and drink it. You can add a little fresh fruit juice with this drink, and it can be taken twice a day. Barley water taken with a few other plants and fruits can act as a wonderful laxative. Take a quarter cup of pearl barley, two tablespoons of licorice, a quarter cup of figs and a cup of grapes. Add ten cups of water. Cook on low heat until the water is reduced on half. A half-cup of this water can be taken in the morning and at night every day for a relief of the constipation. Fenugreek can help regulate the stomach bacterial flora and relieve constipation. 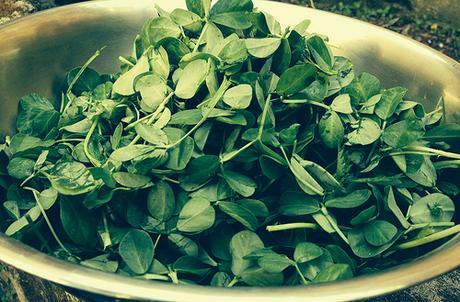 Fenugreek is also a good source of fiber, it contains vitamins and essential minerals. Rather than buy it in supplement form, it is always better to consume foods in their natural state. Add the fenugreek to soups and stews for its great health benefits and laxative effect. The apple juice contains sorbitol (a type of sugar), which acts as a laxative and helps you fight against constipation. Taking two glasses of apple juice a day will relieve constipation, and will stimulate regular bowel movements. However, the excessive consumption of apple juice may cause diarrhea too, so drink it in moderation. If you have diabetes, it is better to try the prune juice method as a natural laxative. Probiotics, such as Lactobacillus acidophilus, are microbial organisms living naturally in the digestive tract. Some of its benefits include the removal and prevention of the growth of harmful bacteria, improving immune function, enhancing the protective barrier of the digestive tract and helping the tissues to produce vitamin K.
Physical activity is also essential for the proper functioning of the digestive system. Above all, drink a lot of water or at least enough to satisfy properly your body’s needs. About 1.5 to 2 liters are usually enough for a normal lifestyle and depending on a few factors like body weight, amount of physical activity, etc.. the water(or liquids) intake can be increased acc0rfingly. Drink this tea in the evening for the best effect. Mix the powder and water in a saucepan and heat, stirring the mixture to prevent clumping. Add the lemon juice as an option for the flavor. You can sweeten with natural fruit juice. Drink before it cools and becomes thicker. Use the above mentioned natural foods and methods to help you relieve and even avoid constipation instead of using the artificial laxatives taken from the store. That way you will not have the negative effects associated with these over the counter laxatives and will improve your overall health while enjoying the taste, as some of the natural laxatives and especially the fruits are very delirious too, either taken whole, as juice or a smoothie. Enjoy your fruits and be healthy!